Christopher P. Farber was elected Herkimer County Sheriff in 2003. Chris won a five-way primary race and then an overwhelming victory in a three-way general election. Before becoming Sheriff, Chris successfully operated his own business for 24 years and served as Little Falls Town Justice for over 20 years presiding over hundreds of cases. Chris has been and still is a member of the Herkimer County Magistrates Association and has served as its President, Vice President and Secretary. 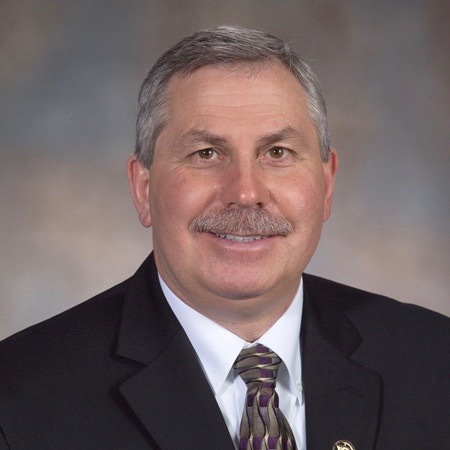 He is also still a member of the NYS Magistrates Association and a current member of the NYS Sheriffs’ Association, the Herkimer County ATI Advisory Board, Chairman of the County Highway Traffic Safety Committee, and a member of many other advisory committees. Chris has also been involved with many community organizations involving youth and is a member of Rotary and Civic Clubs. Herkimer County is the first Sheriff's Office in New York State to utilize the Child Project, “Iris Recognition System.” The iris scan can positively identify a child or an adult and can be invaluable in missing child cases. He resides in Little Falls with his wife Kathleen.